A woman who was riding her bike through Bradlaugh Fields in Northampton was assaulted by a gang of children. As the woman, who was in her 20s, rode past the group of adults and children, a boy tried to push her off her bike. She stayed on and carried on cycling, at which point he was joined by three other children and together they pushed her off her bike. The boy then punched the woman’s cheek while a girl punched and pinched her leg. Another girl tried to remove a bag from the bike and then picked up the woman’s handbag and threw into the bushes. An older girl, aged around 16 to 17, offered to fetch the handbag but then pushed the victim. Eventually, the woman managed to retrieve both her handbag and bike and cycled away. The older girl is described as white, about 5ft 6in, with a chubby build. She had a pale, freckled complexion and was wearing navy coat with fur around the hood. The younger children are described as white and aged between seven and 10-years old. There were two other girls/women with the group and one of them had an empty pushchair with her. 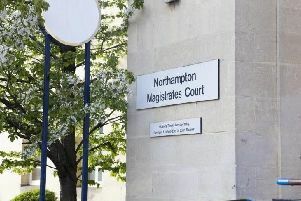 The incident happened at about 5pm on Tuesday, 10 May, and anyone who may have witnessed the incident, or know anything about it, is asked to contact Northamptonshire Police on 101.